Focus, Solutions & Freedom: Find customer success with our powerful, enterprise-grade Testing and Personalisation platform. March 11: Webtrends adds new data collection centers. 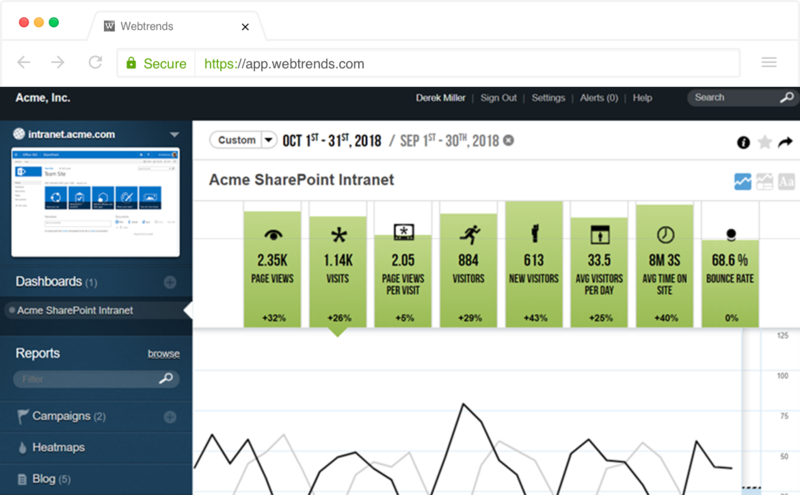 Webtrends Analytics provides detailed insights compared to out-of-the-box SharePoint analytics. With over 75 reports that work out-of-the-box, you will spend less time customizing and more time getting meaningful information. Webtrends is committed to your success with our solutions.